As dinosaurs travel they leave trails of footprints which may fossilize. 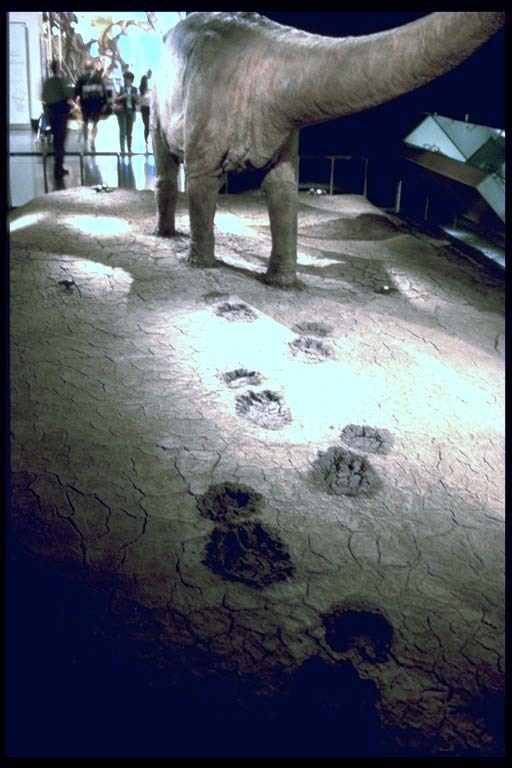 The set of fossilized prints is known as a trackway. 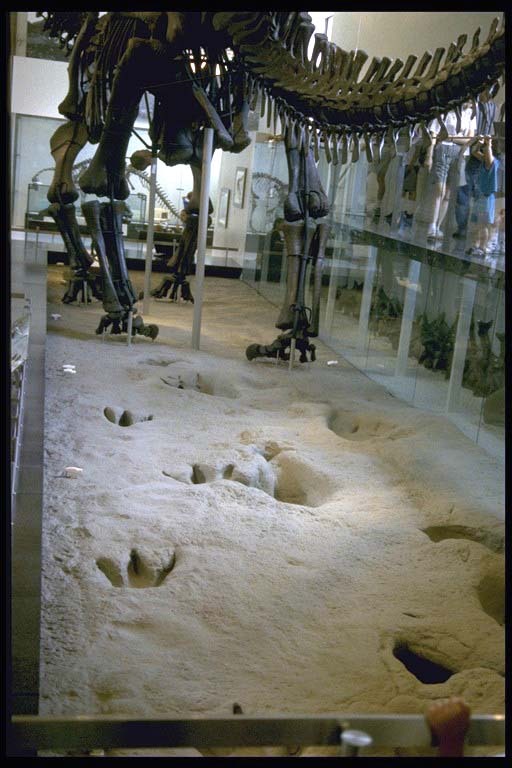 The study of trackways can provide information about the length, width, speed, weight, and number of legs of a dinosaur. Studying the sets of trackways can also give clues to the social structure of dinosaur groups, their prey, and hunting habits. Dinosaur trackways are preserved for millions of years in rock. The dinosaur left marks when walking on soft ground, such as a mudflat or river bed. The soft material dried and hardened and the marks were filled in by mud, sand or silt. As thicker layers were deposited above, water was squeezed out from between the mineral grains by the pressure and the layers all turned to rock. Many years later the top rock layers were worn away through the processes of erosion, uplifting by earth movement, or exposure by human activity, and the trackways are exposed. If the erosion continues, the tracks can be worn away forever. Figuring out the age of the tracks, when they were made by the living dinosaur, is a process of deduction. People studying the track use their knowledge of the type of dinosaur that probably made the track, and when that type of dinosaur lived. 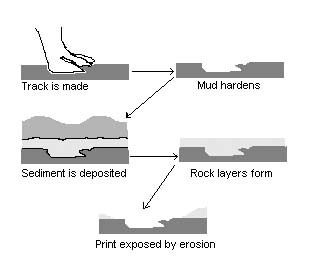 That information, paired with estimates of the age of the rock layer where the tracks occur, or surrounding rock layers, leads to a guess about the track’s age. Formation of a dinosaur trackway.